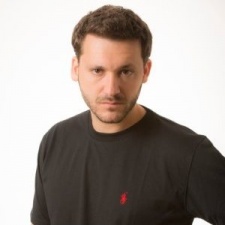 Tal Shoham is COO of Mobile at IronSource. The trials of SDK-bloat and an oversaturated ad tech market are nothing new. But with the rise of in-app header bidding and programmatic in app, the question of the relevance of the SDK is coming up again, with some providers in the industry even promising SDK-less solutions. It’s a seductive offering. No SDK means little to no integration time or resources required, no bugs and no bloat. Working with one partner for all your ad monetisation needs is also compelling, with no need to deal with separate reporting or payments. But there are several key issues with this proposition, not the least of which is that there is no such thing as a pure non-SDK solution. Even purportedly ‘SDK-less’ solutions involve an SDK integration somewhere. This is simply because SDKs allow for much more sophisticated technological capabilities which are necessary on mobile. In addition, so called ‘SDK-less mediation solutions’ actually function as an ad network which is connected to bidders - i.e. an exchange. This means they are keeping 30 per cent of the margins coming their SDK-less demand sources, and publishers are losing out on potential revenue by having this technology tax in the middle. The reality is SDKs still provide much higher revenues and performance compared to non-SDK solutions. We’re not talking about mediating banner ads down the side of a web page - mobile in-app solutions need to be designed for ad units which are an integral part of the in-app experience. With the rise of in-app header bidding and programmatic in app, the question of the relevance of the SDK is coming up again. All the exciting things we see around creative innovation - playable ads, interactive ads, 360 video, augmented reality and other rich media formats - are less likely to run seamlessly on a server-side solution. It’s also difficult for server-side solutions to account for things like client health, UX, or pre-caching (i.e. elements necessary for a seamless advertising experience) or ensuring viewability, because they don’t live on the device. With all that, it’s still highly unlikely that app developers will integrate more than 5 to 10 SDKs, especially as the technology of the leading providers continues to improve, or as mediation solutions which centralise SDK management become more popular. We can expect to see the biggest SDK networks survive and scale, taking an ever-growing share of the market as smaller players get cut. In many ways, this is a microcosmic example of the consolidation that’s happening in the ad tech industry at large. Players who are able to offer robust, mature and proven technology which stays on the cutting-edge, along with enough existing market penetration, are likely to benefit from a less crowded industry moving forward. There are inherent dangers in choosing to work with only one partner - SDK-less or not. By choosing to work with only one partner, developers will give up any kind of visibility or leverage. They’ll be unable to check if they are really receiving the highest possible price for their inventory because they won’t have access to the upstream. This lack of information will also put them in a position where they can’t negotiate better deals with networks (to increase margins or guarantee higher eCPMs). We're not yet at the stage where there is one universal programmatic SDK which has access to all the demand in the world. The potential value of their entire inventory will also be in the hands of one salesperson - rendering them reliant on the relative ‘selling power’ of their account manager. Having multiple demand sources competing over your traffic is the most effective tool to increase the value of your inventory and optimise yield. This doesn’t even take into account how fluid and fast-moving the industry is. Networks are constantly releasing new ad units or creative formats which can have a very quick and significant impact on revenues (read, playable ads as just one example). The relative strength of a network also shifts as their demand roster changes, also resulting in fluctuations in the CPMs they can pay. The only way for developers to ensure they are maximising the value of their traffic is to stay in control of sales of their inventory, and continue being active players in the monetisation game. Using one vendor with a server-to-server solution also means unifying the player and UI experience for users, which will not only lower performance, but also result in banner blindness. Catching and holding user attention today is hard enough without adding limitations on ad placement. Until that’s the case, developers choosing to work with only one partner are minimising their profit if they rely on just one network to sell their inventory as opposed to using solutions which empower them to manage multiple demand sources themselves.